When I arrived home from work the other night I opened the door and was hit by the smell of cooking. Luke had lovingly made us all dinner but stuck out the house in the process. My initial instinct was to open the windows and get one of my scented candles lit to get rid of that awful smell of beef and oil. Which got me thinking, what other ways are there to make our home smell nice so next time I don't have to worry about Luke smelling out our house. I'm not sure about you but I don't want to put a jar of water filled with herms and fruit on my side board, the kids will knock them over and after a day they'll need changing. Nor do I want to use my electricity to slow cook scented water. To have to clean it up after. With that in mind it was difficult to find clever ideas that look great. So I found these 4 DIY ways to make your home smell good that will look beautiful. 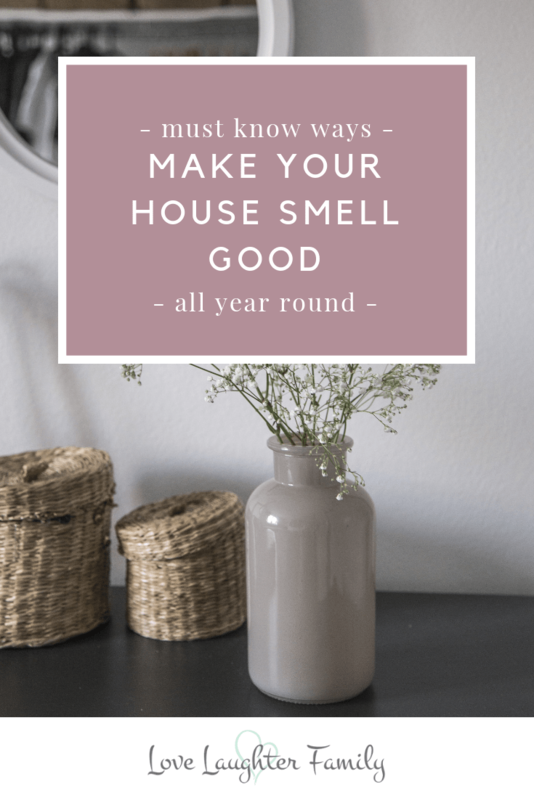 Plus some out of the box ways that I like to use to make our home smell good all year round. This looks great. It's so easy to make. Buy a single candle and wrap it in cinnamon sticks tied with some string. As the candle burns down the heat releases the smell of cinnamon. Make it here or here's a great video of how to make your own. Make your own Potpourri! If you didn't know, Potpourri are those little bags of dried flowers, spices and sometimes pine cones that smell great. Now make your own and put in nice little dishes around your home. Learn how to make some here. Fresh flowers and herbs always smell great. Eucalyptus in the shower makes your shower smell like a spa. See how its done here. You can go about this two ways. The simple way where you get a nice looking dish and fill it with whole coffee beans and in the middle place a vanilla scented tea light candle. See how its done here (youtube video). Or you can go all out and make your own coffee vanilla bean candle from scratch! Find out how to do it here. If you don't mind spending for all year round pleasant smells here are 5 ways to make your house smell lovely all of the time. Like I said before I went straight to my scented candle to get rid of the smell of food that welcomed me when I arrived home. If you have money to spend Jo Malone makes some lovely candles and scented sprays but they are expensive for candles but if that's your thing then you'll love them. Otherwise these Chesapeake Bay scented candles are quite nice and are well designed. Failing that Yankee Candles are still lovely and the new designs are much nicer than before. We like the Sheer Linen one. We have an Ashley and Burwood Fragrance Lamp and love it, not only does it look cute but you can buy all different scents to go in it. You can also buy different lamps. We have a couple but love the Twinkle Star one here. These are amazing. Buy singly or in packs these scented sachets are great for hiding around the house such as draws, cupboards, and behind sofas to keep an ever going scent. There are so many different scents to choose from. Reed diffusers can add a nice touch to your sideboard at home. Coming in many scents and designs these are great if you don't like lighting candles and then leaving the room. With Reed diffusers they can be left to do their thing until the scent runs out. The best way to freshen up your home is with fresh flowers. Buy a few nice vases and buy flowers for each room. Flowers also brighten up your mood which is always a good thing. I just had to include this. It's the new Renpho cool mist infuser and its works via wifi! So when your on your way home you can tell it to turn on and make your house smell lovely with your phone. What's your favourite way to make your house smell nice?